The critical input by Professor Brian Joseph, a respected linguist and an authority on South Slavic Linguistics is greatly appreciated. Let me state from the outset that I recognize the hard work behind the late Vasko Karadza’s dictionary. Obviously, this was a labour of love. It should be noted though that this dictionary which is promoted by Vinozhito, the self-described party of the “Macedonian minority” in Greece, compares the Greek language to the Slavonic language spoken in the Former Yugoslav Republic of Macedonia (FYROM) in its standard form, and not to the local Slavonic dialects used by bilingual inhabitants in Greek Macedonia. If this language was codified for political reasons in the 1940’s (as one of the instruments of Yugoslav communist propaganda exploiting the bane of the Greek Civil War) why should we, the bilingual Hellenes of Greek Macedonia, accept this as a “Macedonian” language? On the matter of identity, the people of FYROM have every right to a distinctive national identity and separate language distinct from their historically connected Bulgarian and/or Southern Slavic roots. No reasonable person will deny them their right to self-determination. 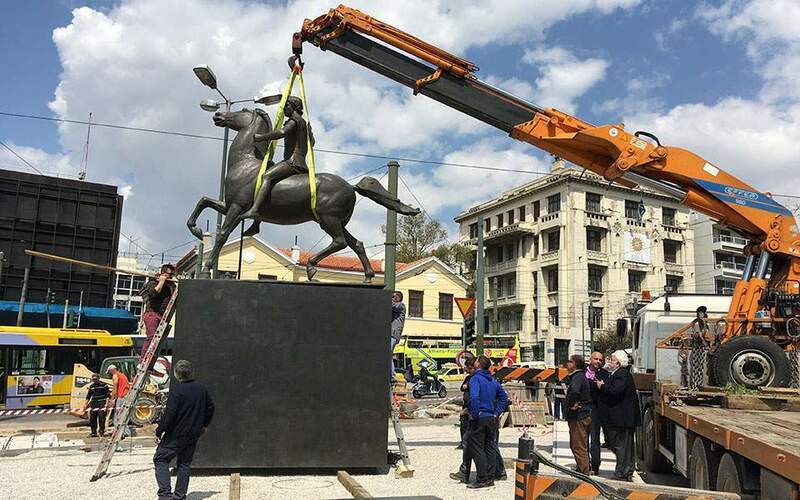 What Greece (as a State) and most Greeks object to is the self-determination of citizens of FYROM and their Diaspora as being the bona fide “Macedonians.” The monopoly of the terms ‘Macedonians’ and ‘Macedonian’ by Skopje underlies major political stakes. 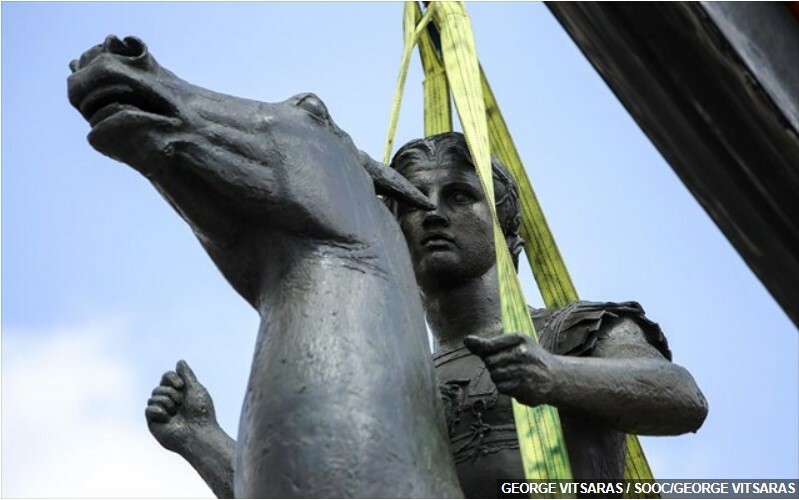 Despite nuanced claims to the contrary, this negates the collective memory and identity of Macedonian Hellenism, its history, its culture, its folklore and its symbols, all the way to its local/regional products and commodities. Self-determination is defined as the free choice of a person’s own acts and desires without external compulsion. 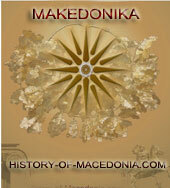 This is the real reason why Greeks object to what Macedonism is attempting to accomplish in Greek Macedonia. Macedonism is acting as a pounding external agitator driven by a State-sponsored ethnocentric nationalist creed with 21st century irredentist visions. 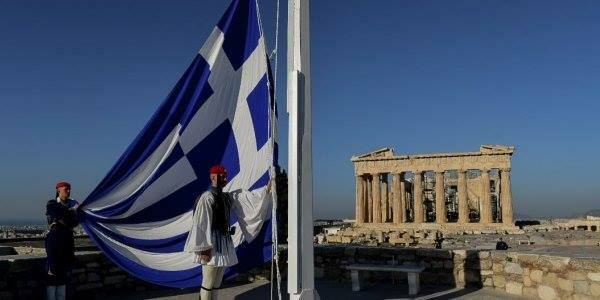 The Greek people see a spade and call the spade. Let me make this clear: There is no pervasive support coming from Slavophone bilingual Greeks for self-determination as “Macedonians” with the connotation of the word that Skopje wants to give. 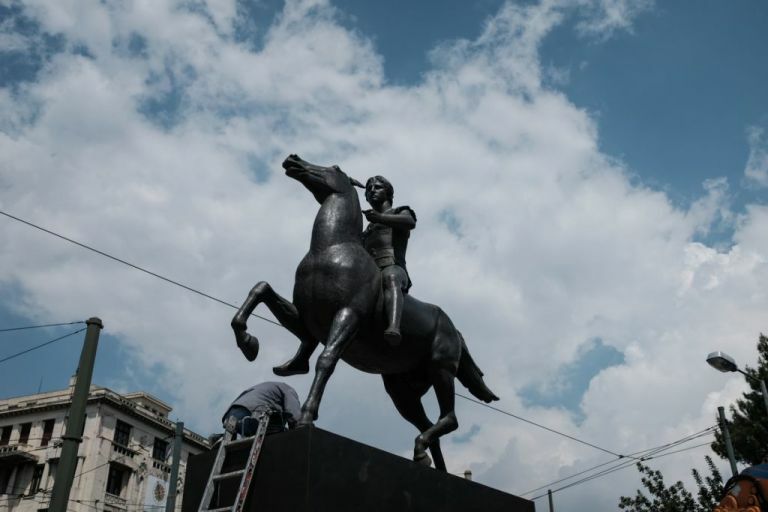 Nor is there an overt expression of yearning by the local inhabitants to learn the Slavonic language of FYROM (in its standard form) – contrary to what Skopje and its Diaspora activists would like the international community to believe. “Macedonian” is not a language that we want to call our dialects, which we have been calling “Bulgarian (Voulgarika)” for generations. I am of the view that one can’t impose on a population something that the people don’t want. Along these lines, may I also submit that the dictionary promoted by Professor Friedman and Vinozhito does not represent our local oral dialects. What Skopje, Vinozhito, and by virtue of association Professor Friedman, are engaged in is tantamount to sheer political activism. It is worth mentioning here that Vinozhito received a total of 4524 votes in all of Greece during last week’s European Parliamentary elections. Only 2594 votes came from Greek Macedonia itself. That Vinozhito is free to hold associations, and promote their agenda throughout Greece is evident. However, their website is run by ultranationalist Macedonist circles from overseas (the people behind Maknews.com) who repeatedly engage in malicious expressions of rampant hatred and racist slurs while demonstrating virulent hostility against the modern Greek state. If Professor Joseph so chooses to “distance [himself] from extreme nationalistic views on all sides, the debate, governmental and non-governmental, Macedonian and Greek [because] they have no foundation in linguistic science and serve no useful purpose,” then he should also choose to distance himself from the political operation of Macedonist propaganda with which some of his colleagues maintain strong ties. It is high time for respected scholars to desist from speaking pedantically on politically sensitive issues, and to be aware of those hiding behind a veil of political expediency. Bilingual Macedonian Greeks have been able to preserve, cherish and celebrate their heritage and their oral local Slavonic, Vlach or Arvanite dialects, throughout the centuries. More importantly, they do not seek the intervention of outside patrons and saviours with political agendas. Yes, historically there were some isolated low moments of linguistic persecution but the people’s collective memories are a testament of endurance of their deeply entrenched Greek identity. and Macedonia during the interwar years of the last century should be a vivid reminder to the patrons and champions of “ethnolinguistic minorities” in modern Greece. 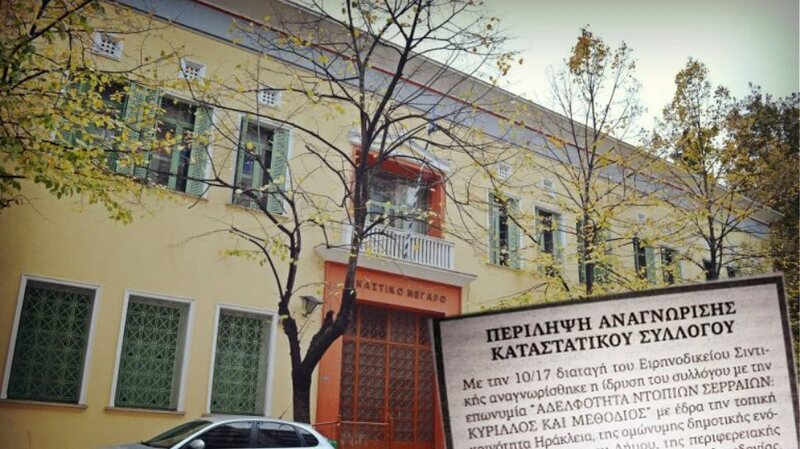 Condemning the unacceptable behaviour of extremist thugs of Chrysi Avghi, I would like to point out that the people who reacted inappropriately to the presentation of the late Vasko Karadza’s dictionary in Athens were individuals from the fringes of Greek society. Suffice it to say that it is grossly unfair for the entire Greek nation to be vilified in this regard by the Friedmans of academia. Greeks of the Metropolis and the Diaspora have shown thatthey have more mature ways of dealing with staged political provocations. Dr. Christos Karatzios, an academic physician with family roots in Greek Macedonia. The views expressed in the posting above are solely those of the author.